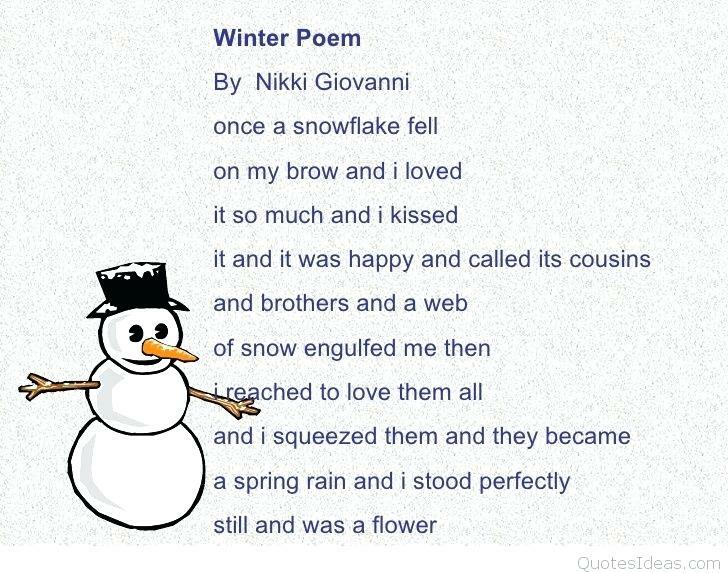 If you are looking for the best winter poems of all times, you can easily find it here in this collection. 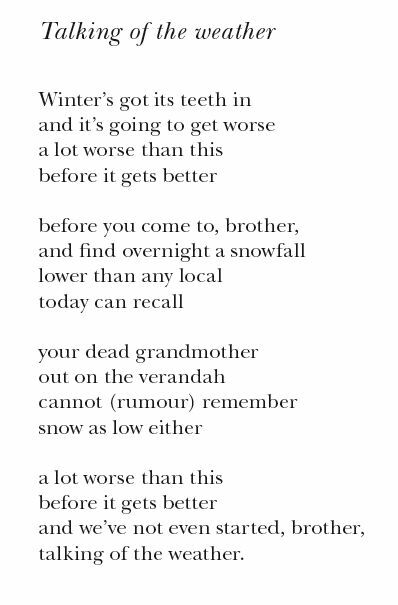 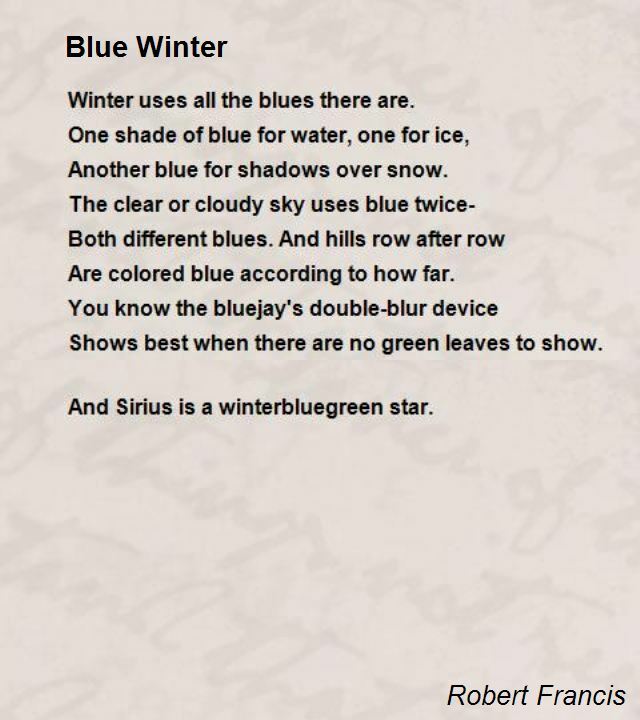 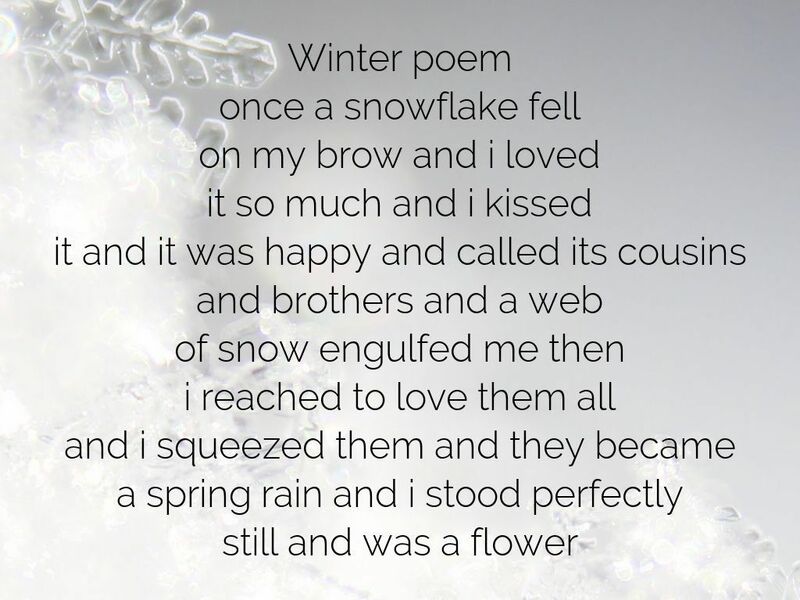 These poems are chosen from the long list of the best winter poems available in the internet. 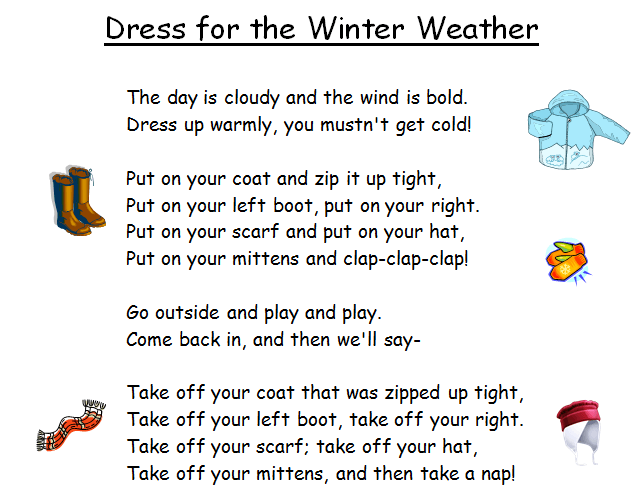 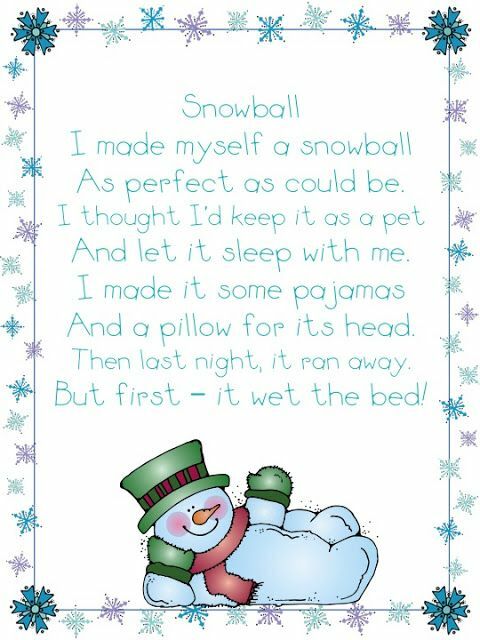 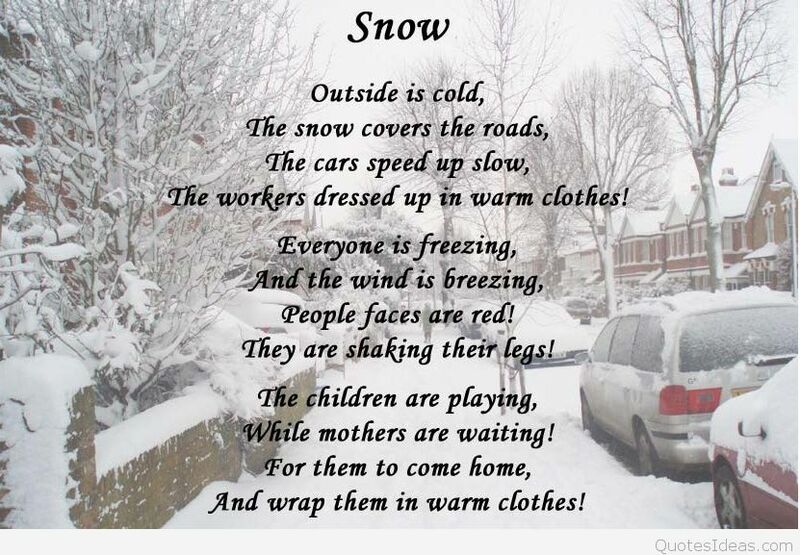 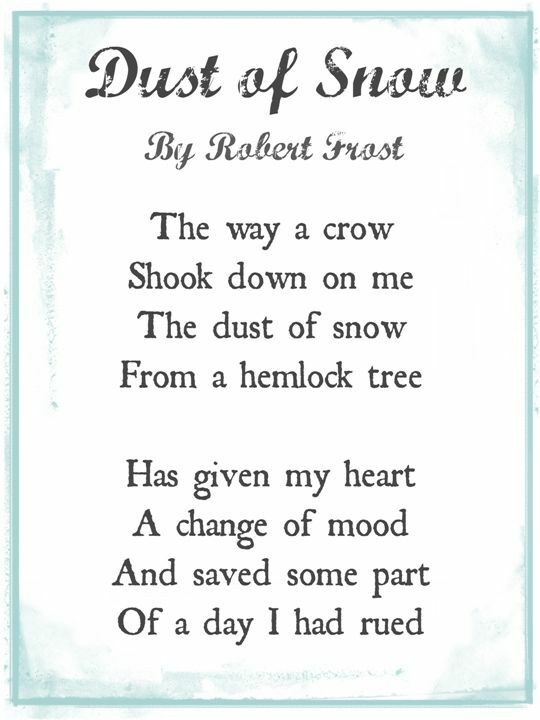 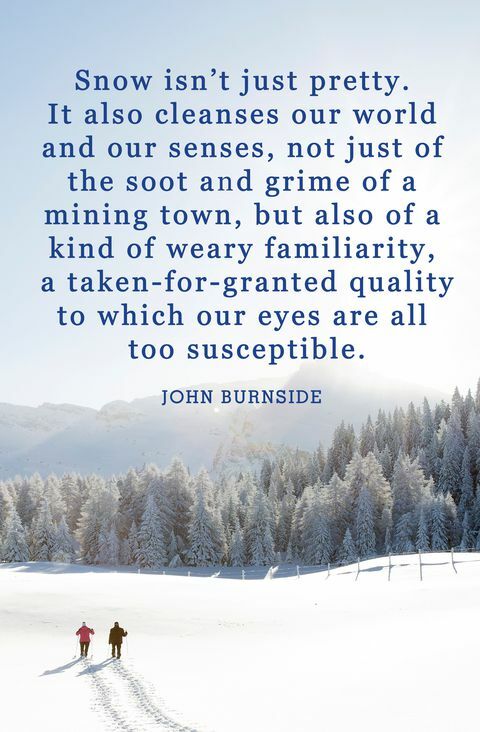 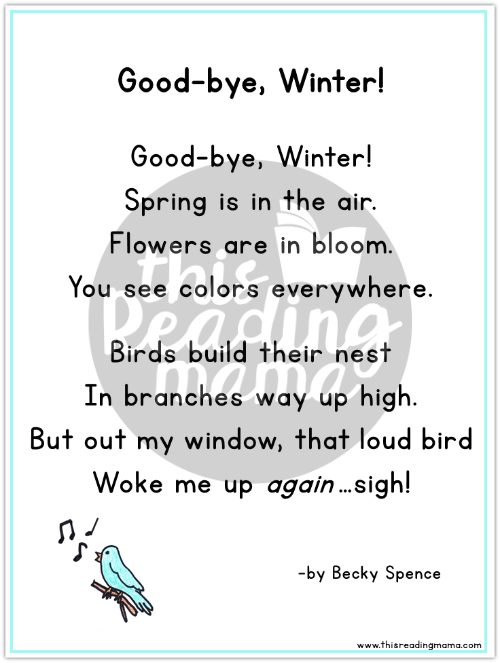 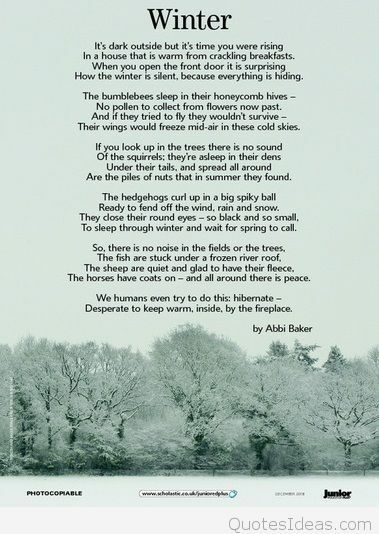 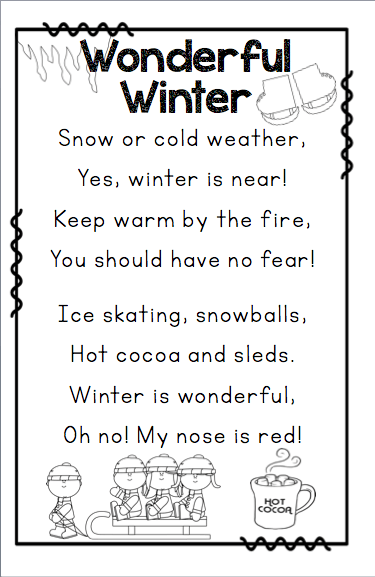 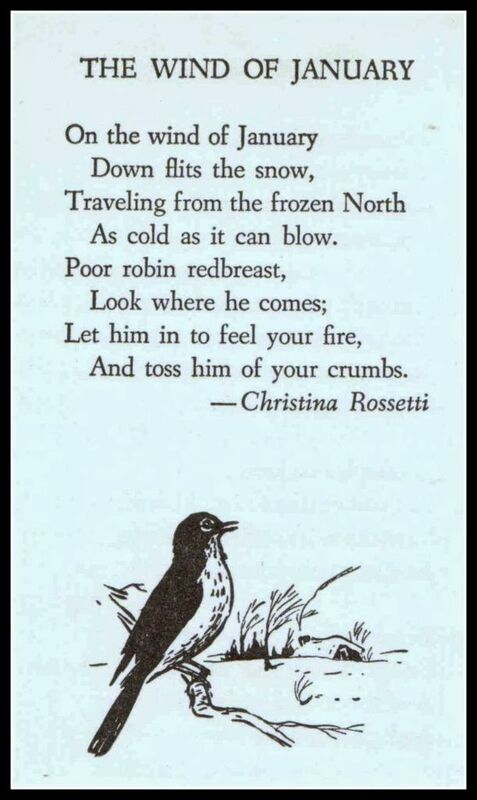 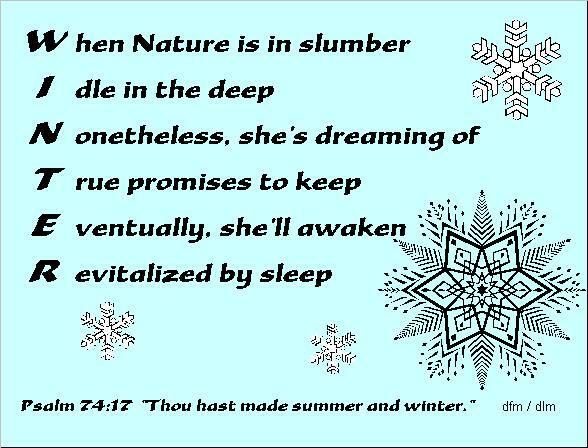 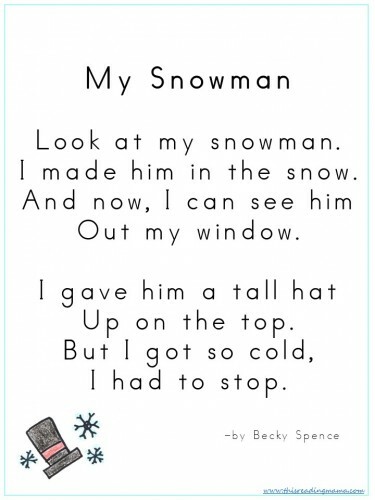 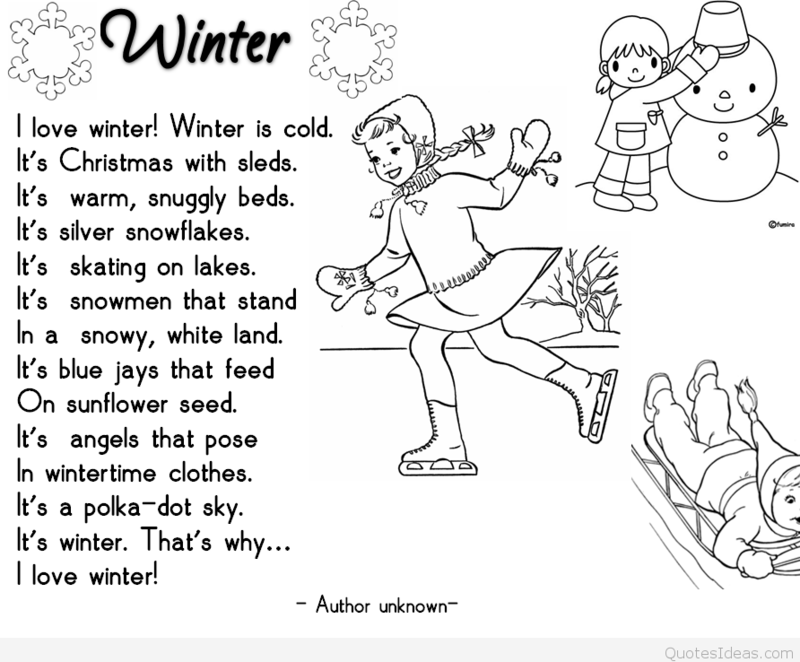 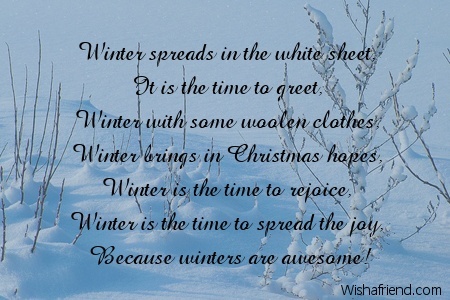 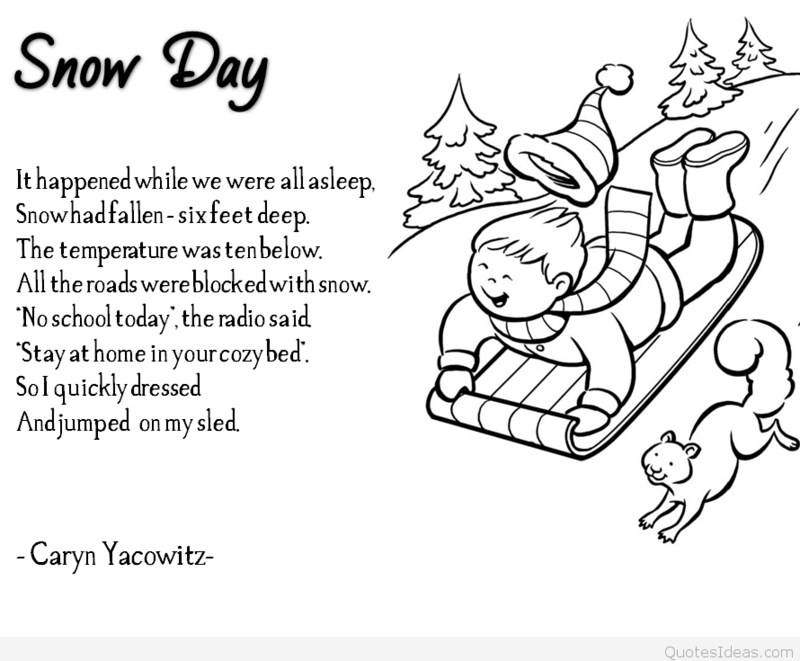 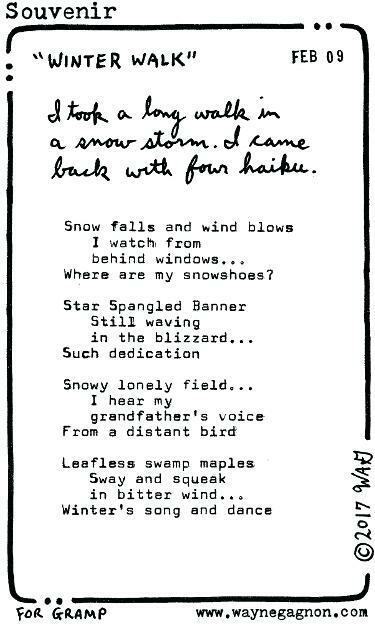 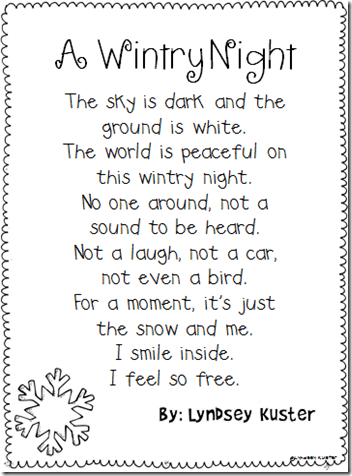 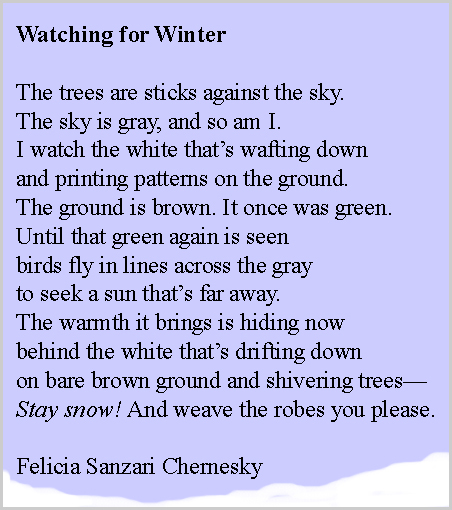 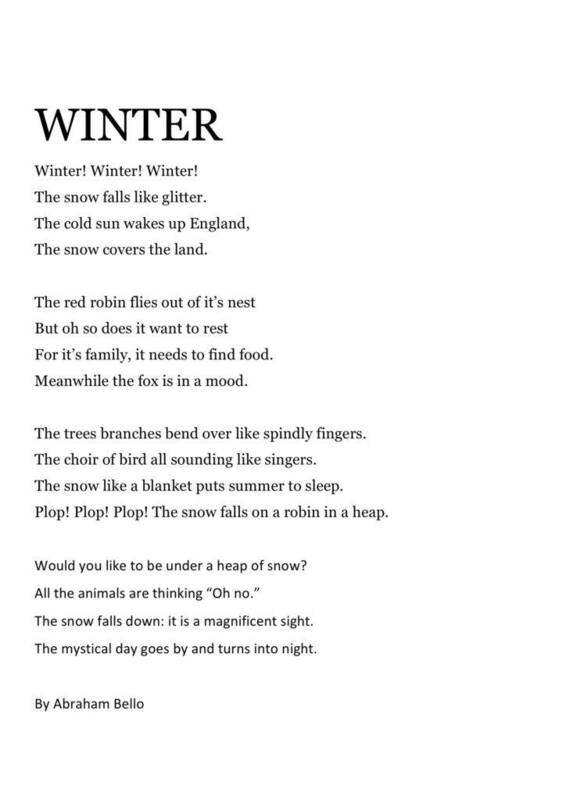 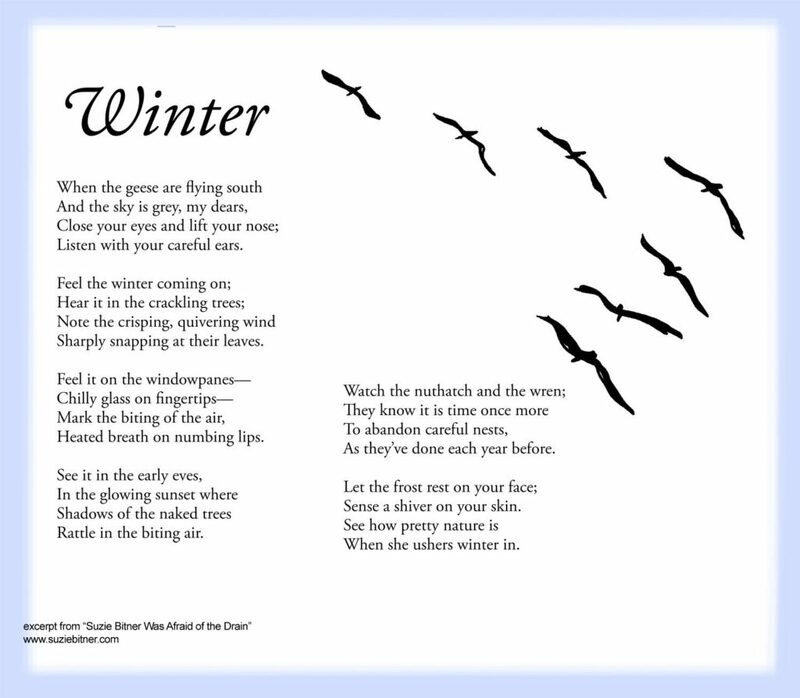 You can share these poems to you friends and family members to let them feel how you are enjoying the winter. 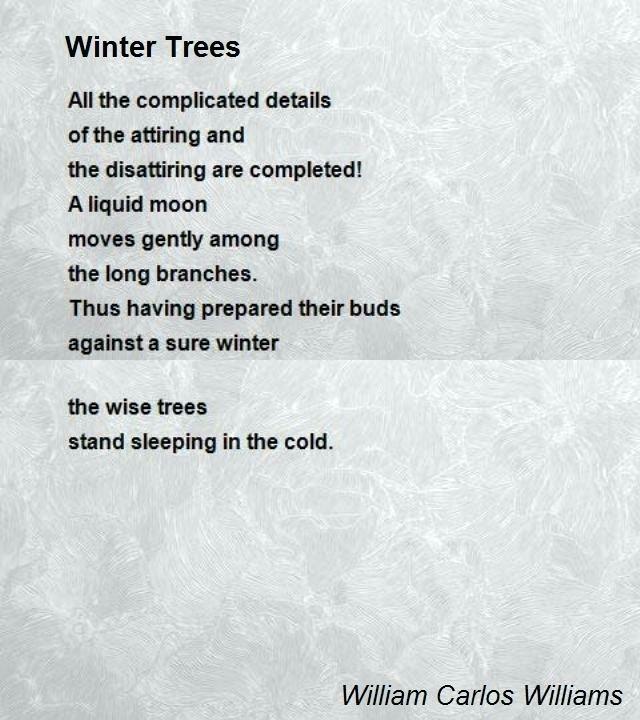 The entries in this collection are ranked by votes. 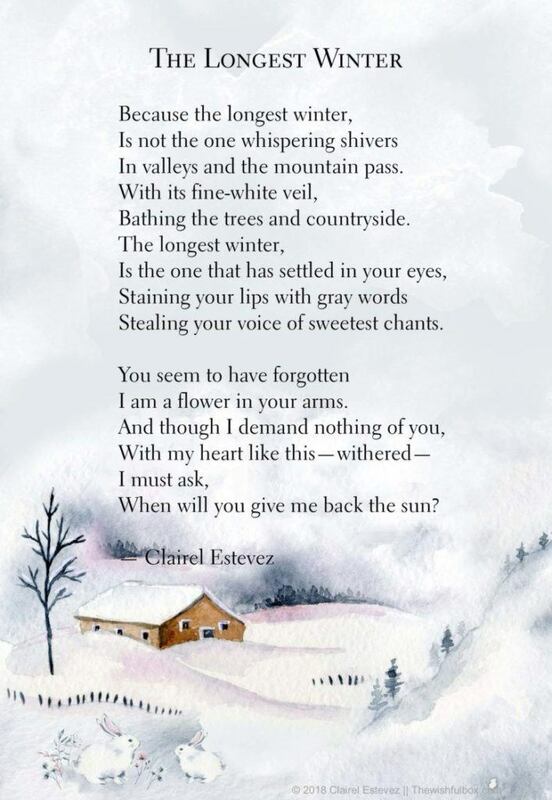 You can vote for your favorite poems in the list. 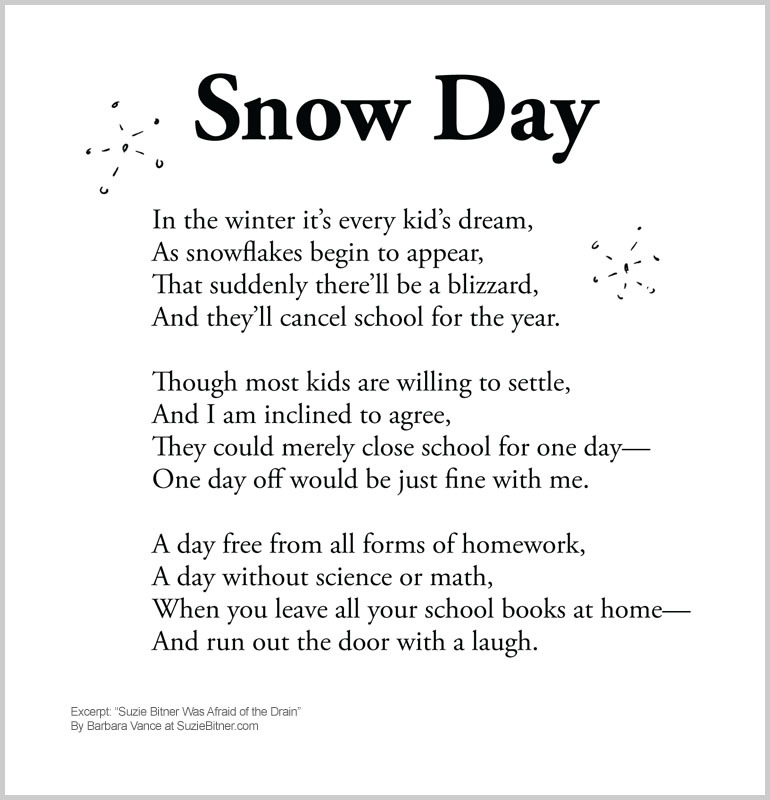 Your vote will help the entry climb up the list. 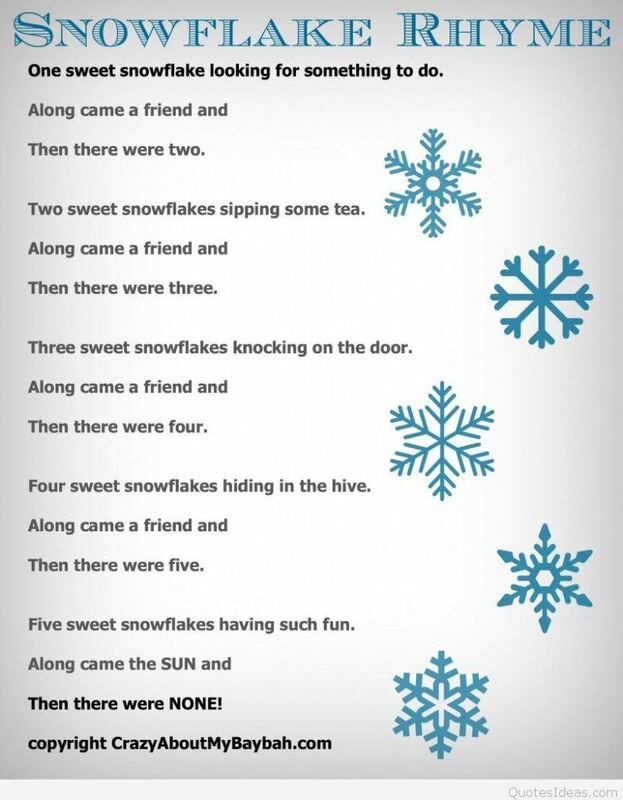 Do not forget to leave your vote before you leave the page.